Design ID#407 - Fine italian marble will give your listing that posh look. 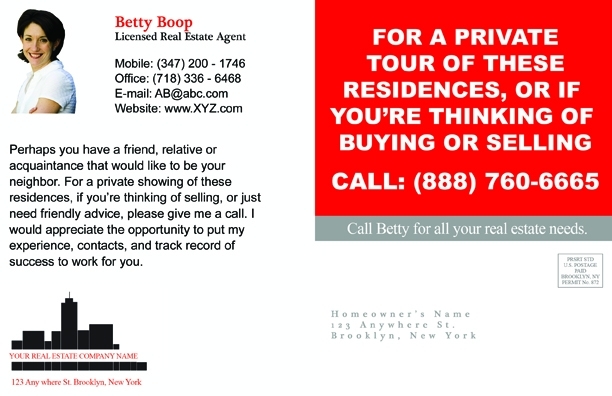 Promise to mail out "Just Listed" postcards as part of your marketing at listing presentations for that final touch to seal the deal. 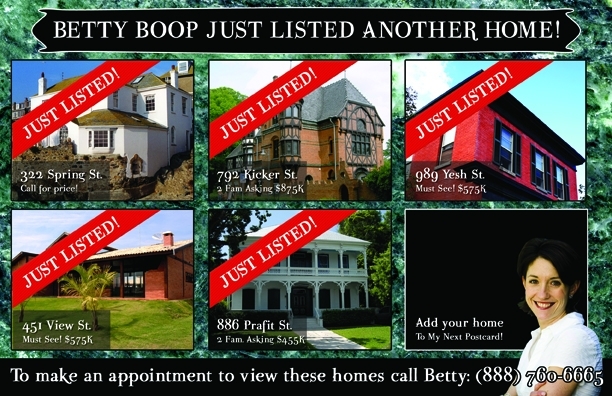 *features 6 property photos or leave one blank for the style shown.